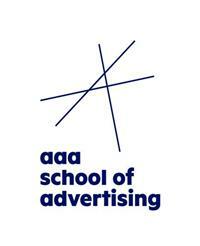 To assist in alleviating stress over career choices, in educating the public about the various careers available in advertising and in shifting the focus to private college course options, the AAA School of Advertising has extended its 2013 application date to 21 January 2013, unlike the majority of tertiary educational institutions that close for applications by the end of September. Dr Ludi Koekemoer, MD and principal of the school explains: “It is imperative for us to spread the word to matriculants and their parents that there are alternative higher education options open to those who may have missed their university application deadline. “We want to tell talented youngsters to consider a career in advertising, as through affiliation with the AAA and its owning body the ACA (Association for Communication and Advertising), graduates are more likely to get a job in advertising, based on the demand for young and especially black creative thinkers.”To kick-start a career in advertising, design or marketing, the school offers degrees and diplomas with specialisations in Graphic Design, Copywriting, Art Direction, Account Management, Brand Management and Media Management.